Konami's sun-sensing action RPG reaches US shores. A brave young man fights a legion of the undead with a weapon that harnesses the sun. It’s common knowledge that Hideo Kojima is a little bit "out there", but you can’t fault the man for trying. Between crafting involved (ahem) tales of science fiction, he keeps those gears turning, and to say he thinks outside the box might be understating it; in recent interviews he has made public his dreams of a game that destroys itself after you lose. 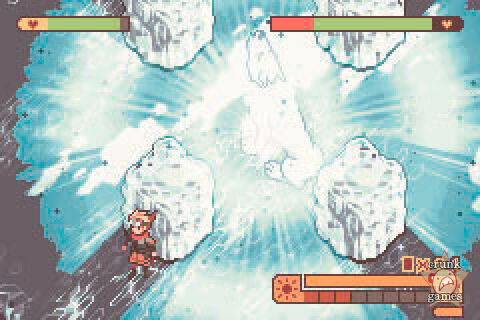 The latest game he’s produced, Boktai (shortened from the Japanese Bokura no Taiyo — Our Sun), is somewhat similar in that it presents an impassable barrier. In the disposable game’s case, you’d have to buy a new copy of the game if you failed, and in Boktai’s case, you have to go outside in the hot sun. Who knows what other machinations he’s thinking of, but we kind of hope none of them involve Pac-Man. Indeed, Boktai is dependent on that mass of incandescent gas, and is housed in a larger-than-usual cartridge sporting a tiny solar panel on the back. 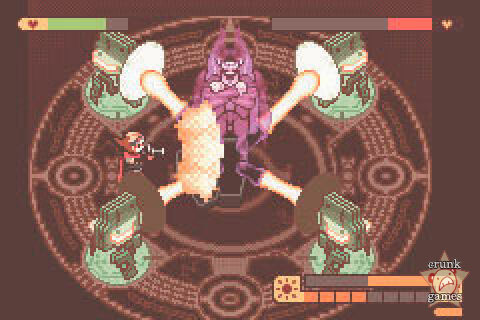 But we’ll get back to that, for Boktai is more than mere gimmicks. The story follows the quest of Django, a "Solar Boy" and the heir to the Gun Del Sol, a pistol with the power of the sun that re-deads the undead. And since the same undead just happen to be rising and blanketing the land with evil, it’s up to Django to avenge his vampire hunter father and erase the existence of the master vampires behind the bad deeds. It’s all in a day’s work, or multiple days’, as you’ll soon find out. 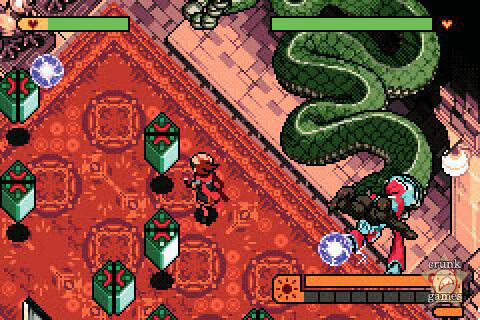 The story of vampire killing via solar rays makes the game sound like an eccentric Castlevania, but with Kojima’s hands in the game, Boktai also has a pinch of tactical espionage action. Django can sidle along walls, peer around the room and distract enemies with a knock, just like our good friend Raiden I MEAN SNAKE. It slows things down a bit, but in a good way. It’s not just for show either, as enemies will only attack if they see you, and the number of times you’re spotted is recorded and rated at the end of each level. To further the similarities with MGS, you receive a password at the end of the game to insert yourself in the internet ranking at KCEJ’s Boktai page and compare yourself with the rest of the world’s players. The Gun Del Sol needs ammo just like any other firearm, and outside is where you’ll be able to recharge it depending on if it’s daytime (the game also has an internal real time clock) and/or the cartridge is sensing enough sunlight. Two meters in the corner of the screen measure the power of the gun’s battery and the strength of the sunlight beaming down on the sensor. If the sun is too intense, you risk overheating the gun and will have to move into the shade or cover the sensor with your hand in order to cool it down, but with summer over, that shouldn’t be a problem for most of us. After engaging in a plodding dungeon crawl in your search for a master vampire’s lair, you eventually reach the big cheese and give it a taste of your own medicine, finishing with putting it back in its coffin. All done, right? Not so fast. First, Django has to drag the coffin all the way back through the dungeon and out the front door, where his flower companion Otenko has set up a circled area known as the Pile Driver. The coffin must be placed in the middle of the formation and, assuming it’s daytime and you have a sun source, a series of reflectors will appear from the ground which you’ll have to power up with the gun and keep powering up as they fire sun beams towards the now exhumed vampire. There’s no way to cheat through this; constant energy from the sun is a requirement, so if your schedule only lets you play games at night, or if you live near Santa’s workshop, you’re screwed. Why else would they be giving away a tropical vacation with Langers juice? Anyway, as you might expect, the entire ordeal can be a huge pisser, especially if you’re out of Solar Nuts and need to pause for a while to recharge, during which the reflectors will probably die out, allowing the boss to get back in the coffin and scoot away, which will force you to drag it back into the center and start over. Luckily, whatever you’ve depleted of the boss’ life will remain, but the overall juggling act can be too much to bear at times. And then it’s on to the next area, where the vicious cycle continues. There’s an emphasis on puzzles in the game as well, with several of them spread liberally in each dungeon. 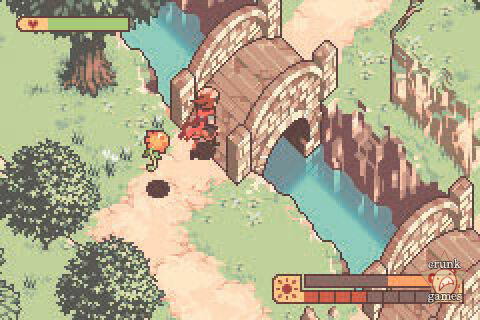 Some are as simple as pushing blocks to clear a path, while others escalate to cruel riddles that will have you hunched over the GBA in thought for a few minutes. However, in yet another nod to a fellow Konami game, you can adjust the difficulty of the puzzles Silent Hill-style in case you don’t have enough faith in yourself. Boktai’s graphics are as vibrant as a sun-bathed afternoon, full of wonderfully contrasted colors with smooth animation to boot. It’s made all the more nicer after stepping out of a dungeon crawl for a while. The audio though is hit or miss. There’s a bunch of crystal clear voice samples stuffed in, as well as some bloopy music that doesn’t always fit in so great. 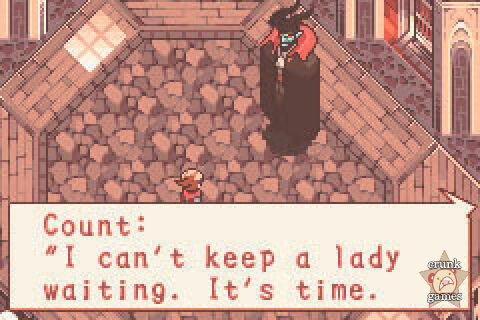 As a matter of fact, the game takes time to play some voices; the biggest offender being the voice that announces the name of the game at the title screen, which successfully wastes four seconds and causes one to mash Start in a futile attempt to hurry the damn thing up. Boktai isn’t the first Game Boy game to use light as a gimmick. That honor goes to Chee-Chai Alien for the GB Color, from way back in 2001. Holding the system under a lamp or other direct light source, your task is to raise and play minigames with a randomly-generated alien that "beams down" via a plastic funnel-like thing attached to the GBC’s infrared port. The game was developed by Creatures, the company previously responsible for the GB Camera and Printer.